I turned the big 3-0 this year. Though it’s been months since my birthday, it still feels odd that I can no longer say I am 20-something. Do I feel old? Of course! I am not in some denial and say I feel young as ever because gosh I have already used up 60% of the years that I have before turning 50. 60%! Where did it all go? It’s amazing how time slips away just like that. Fact is fact; I only have 20 years before I turn 50. That is roughly 988 weeks. Less than a thousand weeks! Still seems like a lot of weeks? Inasmuch as I want to bang my head on the nearest wall for not realizing this foolishness soon enough, I take comfort that thank God I have realized it now. 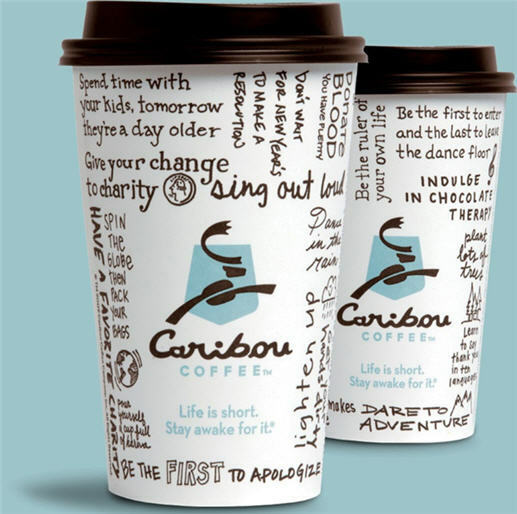 What’s written on this cup of Caribou coffee is so right. “Life is short. Stay awake for it.” I no longer wish for weekends to come faster. It’s time to focus on stuffs that truly matter. pero mas hapit ang sept 22, 9:30 am! good luck sis and welcome to the world baby girl Daria! Haha cmon ur still young and so much things ahead of you. I'm still older than you :) but yeah I remember panicking when I turned 30.